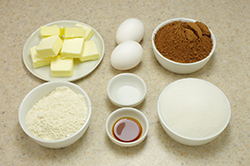 Cocoa brownies have the softest center and chewiest candylike top “crust” of all because all of the fat in the recipe (except for a small amount of cocoa butter in the cocoa) is butter, and all of the sugar is granulated sugar rather than the finely milled sugar used in chocolate. 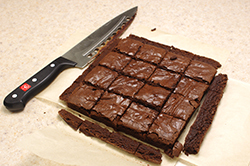 Use the best cocoa you know for these fabulous brownies. •	Position a rack in the lower third of the oven and preheat the oven to 325°F. 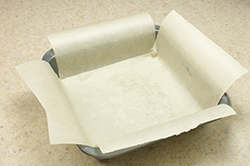 Line the bottom and all four sides of the baking pan with parchment paper or foil. 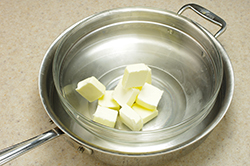 •	Melt the butter in a medium heatproof bowl set in a wide skillet of barely simmering water. 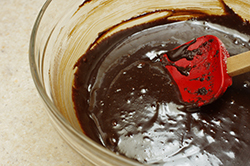 Add the sugar, cocoa, and salt and stir from time to time until the mixture is smooth and hot enough that you want to remove your finger fairly quickly after dipping it in to test. 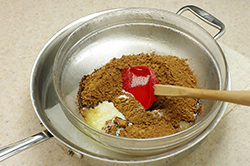 Remove the bowl from the skillet and set aside briefly until the mixture is only warm, not hot. •	Stir in the vanilla with a wooden spoon. Add the eggs one at a time, stirring vigorously after each one. 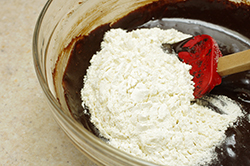 When the batter looks thick, shiny, and well blended, add the flour and stir until you cannot see it any longer, then beat vigorously for 50 to 60 strokes with the wooden spoon or a rubber spatula. Stir in the nuts, if using. Spread evenly in the lined pan. 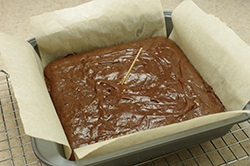 •	Bake until a toothpick plunged into the center emerges slightly moist with batter, 20 to 25 minutes. Let cool completely on a rack. 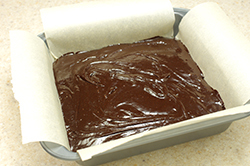 •	Lift up the ends of the parchment or foil liner, and transfer the brownies to a cutting board. Cut into16 or 25 squares. 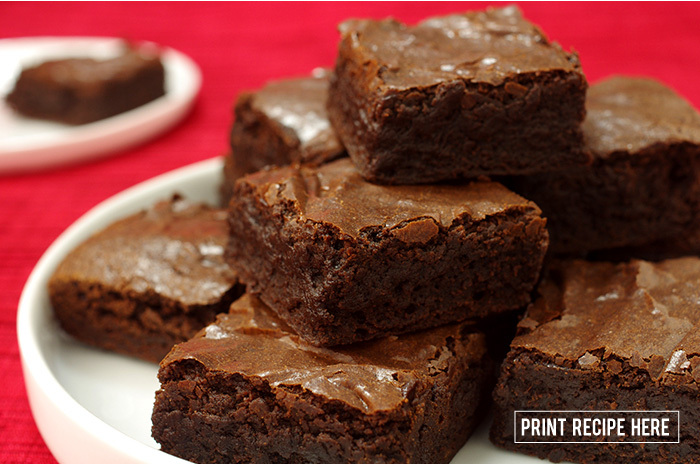 Natural cocoa produces brownies with more flavor complexity and lots of tart, fruity notes. I think it’s more exciting. Dutch-process cocoa results in a darker brownie with a mellower, old-fashioned chocolate pudding flavor, pleasantly reminiscent of childhood.